Get ready, because they’re coming. Waymo, the driverless-technology company spun out of Google, has agreed to purchase as many as 62,000 minivans from Fiat Chrysler Automobiles for use in a ride-hailing service set to begin commercial operations later this year. The announcement on Thursday is the latest sign that Waymo is counting on a rapid liftoff for the service. In March, it agreed to purchase up to 20,000 compact cars for the service from Jaguar Land Rover beginning in 2019. Both the Chrysler Pacifica minivans and the Jaguar cars will be equipped with the radars, cameras and sensors that Waymo has developed to enable the vehicles to drive themselves on public roads. Waymo plans to start its service in Phoenix, then expand to the San Francisco area and to other cities across the country. Waymo began working with Fiat Chrysler in 2016 and has built a fleet of driverless minivans that it has been testing in Phoenix; Mountain View, Calif.; Austin, Tex. ; and Kirkland, Wash. According to the Associated Press, Waymo aims to have an automated vehicle rideshare service in Phoenix by the end of this year, so look out for that if your travel plans include Phoenix. We could begin to see them in Texas following that – one presumes initially in Austin, since that’s where the tests have taken place – as a bill to regulate automated vehicles passed the Lege last year. 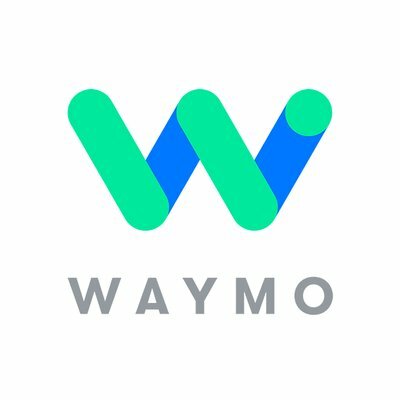 Waymo appears to have taken the lead in getting this technology to work, so we’ll see how this goes. Would you ride in a driverless car if one is available in the next few months? I gotta say, I’ll probably wait till version 2 is available, but maybe I’m just being a wuss. What about you? The city of Phoenix loves its new light rail line. The light rail here, which opened in December, has been a greater success than its proponents thought it would be, but not quite the way they envisioned. Unlike the rest of the country’s public transportation systems, which are used principally by commuters, the 20 miles of light rail here stretching from central Phoenix to Mesa and Tempe is used largely by people going to restaurants, bars, ball games and cultural events downtown. The rail was projected to attract 26,000 riders per day, but the number is closer to 33,000, boosted in large part by weekend riders. Only 27 percent use the train for work, according to its operator, compared with 60 percent of other public transit users on average nationwide. In some part thanks to the new system, downtown Phoenix appears to be one of the few bright spots in an otherwise economically pummeled city, which like the rest of Arizona has suffered under the crushing slide of the state’s economy. The state, for years almost totally dependent on growth, has one of the deepest budget deficits in the country. “It is bringing us new customers who didn’t have time to get in the car and drive out here before,” said Joel Miller, a co-owner of Maizies Cafe and Bistro, which sits right along the rail line. The gaggle of light rail users — including Arizona State University students, who use a line that connects its Tempe campus with the downtown campus — have given a small part of the city a new, dense connectivity that was more or less unheard of in the city two years ago. Pub crawls along the light rail have become a weekend staple, and restaurants have seen new customers from outside the neighborhood popping in off the line for brunch on the weekends. – Carping about the cost of building the rail lines from the usual suspects, who oddly never complain about the cost of road building? Check. – Completely wrong predictions by those same usual suspects about the line’s ridership projections? Check. – A sprawling, car-centric metropolis? Check. – A perception that “no one” would ever walk there because it’s too damn hot? Check. Am I missing anything? The Main Street line has already done most of the things that Phoenix is enjoying with its new line. Some day, when we finally have all the pieces in place for Houston’s rail system, or at least the pieces that are now being put into place, I expect this same article to be written here. That can’t come soon enough. Thanks to Greg for the link.